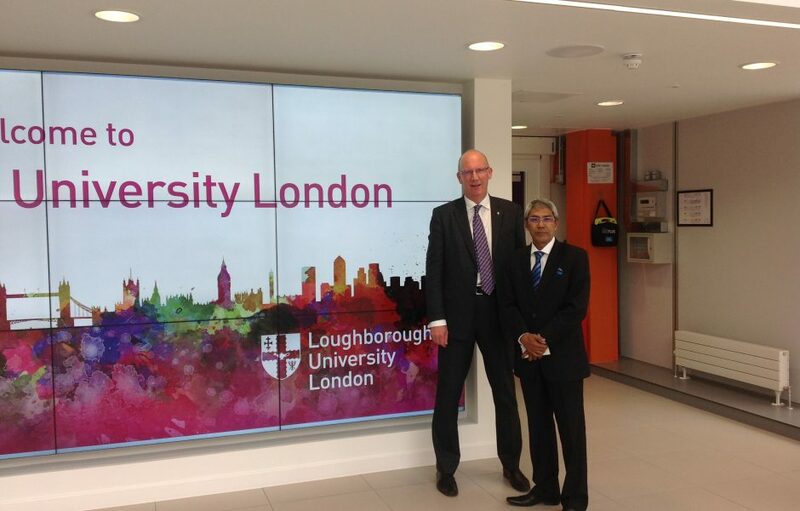 Last week, Vice Chancellor Professor Robert Alison caught up with an alumnus from Malaysia at Loughborough University London. This meeting marks the Vice Chancellor’s first meeting with a visiting alumnus to the London campus. On Thursday 11th August, Professor Robert Alison met Datuk Haji Abdul Rahman Kasim, who graduated from Loughborough University in 1977 after completing his undergraduate degree in Chemical Engineering. Abdul Rahman has enjoyed a prolific career since leaving Loughborough, and is currently on the board of bank Rakyat, Malaysia’s largest co-operative bank, with 148 branches and nearly 1,000 ATMs and cash deposit machines nationwide. In addition to his role of board member, Abdul is chairman of the Bank Rakyat Foundation. Launched in 2008, the Bank Rakyat Foundation offers scholarships and financing for underprivileged Malaysian citizens, regardless of religion, race, disability and background to study an academic degree at a partner University, provided they meet the necessary entry criteria. The foundation also provides charitable contributions for individuals or organisations in need. Abdul Rahman visited the Vice Chancellor to discuss collaborative partnership opportunities, as well as potential exchange programmes and scholarship opportunities for underprivileged Malaysian citizens, on behalf of the Bank Rakyat Foundation and the University of Malaysia.